The last bit a wifibroadcast FPV system would need to kill analog FPV would be better latency. The robustness of the transmission using wifibroadcast is already better, the image quality for sure, just the latency is a bit higher. This post will not present a solution and will also not measure total system delay. It concentrates on the latencies in the TX PI. I wrote a program that toggles the LED and outputs for each action a timestamp delivered by gettimeofday(). This allows me know the time of the LEDs actions relative to the PIs clock. The latency between the image capture to a h264 image comprises capture and compress latency. Since this both happens hidden by raspivid, it cannot be divided easily. And this is the number we more or less “have to live with” until Broadcom opens up the GPU drivers. I measured the latency using a modified version of raspivid. The compression engine packs the h264 data into NAL units. Think of them as h264 images that are prefixed by a header (0x00000001) and then written image after image to form the video stream. The modification I added to raspivid was that each NAL unit received a timestamp upon arrival. This timestamp was written right before the NAL header into the h264 stream. I also wrote a program that was able to read my “timestamped” stream and convert it into single images that are attached with their corresponding timestamps. First column is the status of the LED, second column the seconds, third column the microseconds. Where the first column represents the seconds and the second column represents the microseconds. Since the LED was running at 2Hz and the camera at 48Hz I could directly relate the LED event to a specific video frame just by looking at the images (-> is the LED on or off?). This gave me two timestaps, the first of the LED event and the second of the capture of it. The delay I got out of these was always in the range between 55ms and 75ms. The variation of 20ms makes sense since this is roughly our frame time. Depending on whether I captured the LED at the beginning (longer delay) or at the end of the exposure (shorter delay) the times vary. I was wondering: Does the 55ms minimum latency come mostly from compression or from capturing? I looked through ways to capture directly and found some nice hack here: https://www.raspberrypi.org/forums/viewtopic.php?f=43&t=109137. Notice that the LED is half-on half-off? This is due to the rolling shutter effect of the sensor. By accident I captured the LED right “in the middle” where it turned off. So the capture time of this shot is known to be exactly when the LED switched state (so here we do not have the 55-75ms jitter as in the case above). The delay between event and capture in this case was 38ms. Unfortunately, the camera runs in this hacky mode at 5Mpixel. So this is not exactly the 720p FPV scenario. To validate my findings from above I also timestamped the hello_encode program included in Raspian. This gave me a compression latency of 10ms for a single 720p frame. One thing I did notice on my experiments with raspivid: It uses fwrite to output the h264 stream. Since this is usually buffered I noticed sometimes about 6KiB being stuck in the buffering. Now that size if far away from a whole frame size so it won’t cause one frame being stuck inside the pipeline. But nonetheless, it will probably cause a small delay. Another thing I noticed is that the NALU header (0x00000001) is written by raspivid at the beginning of each new h264 frame. Since the decoder needs to wait until the next header to know the end of the frame, a latency of one frame is created (unnecessarily). Maybe a variant of wifibroadcast that is directly integrated into raspivid would make sense. This could treat whole h264 frames as an atomic block, divide the frame into packages and transmit them. Right now the blocking is done at fixed intervals. This leads to the problem that additional data is stuck in the pipeline due to a partly filled block. I still need some time to think it over but there could be some potential here. I got similar results few weeks ago. Measurement was implemented using Dominator HD goggles + as display connected to raspberry’s HDMI. Measurements with oscilloscope showed that smallest latency is around 40-42 ms with 30 ms jitter. This is far away form 20 ms latency on analog FPV (http://www.grigaitis.eu/?p=1026). Here is hardware limitation of Raspberry Camera. Raspberry camera has two LVDS lines to transmit data. One line at 800Mps. I am not sure (going to check) but it seems that one of them is used. If use two lines may be possible get data faster. But anyway there is not so much room to make it faster. Maybe it is possible to modify raspivid to force cut frame into smaller frames and send to compression engine peace by peace when not waiting for entire frame to arrive and send it trough wifi ASAP. For example, we have 30 fps, thus time to get one frame should be around 1sek/30fps=33 ms. Thus if we cut one frame 1280×720 by factor 4 we get 16 smaller frames size of 320 x180. Thus from camera frames are sent by rows, then there will be need to wait only 180 lines of 4 frames and it would take 8.25 ms. then those 4 frames are sent to compression and to wifi. When other frames are downloaded from camera then first frames may be already compressed and prepared to send. By this method is possible to reduce overall latency, but size of stream may increase because of split frames. It seems quite hard work but it may help reduce latency by 15-20 ms.
That is great work you did there! Befinitiv, thank you for creating and developing this project!! Looks like you are making progress finding the main causes of latency. Looking forward to reading your future findings! Thanks for your efforts and all your work, it’s really great! Because we can actually observe 48fps, reading the image from the camera takes at most ~20ms. If you get this raw data after 38ms, there must be one frame stuck in the input. Unfortunately we can’t look into the firmware and change this behavior. Your hooking function is very neat. Even if the improvement is small, moving the output of the encoder through a pipe to the tx-program still takes more time and every millisecond counts. I’ve been trying to accomplish this by modifying raspivid and tx to use shared memory. This way one can implement additional logic in raspivid and for example drop frames, if they are generated faster than tx can transmit. Same for rx and hello_video: If for some reason frames are being received faster than you can display, drop all but the latest. Removing the pipe should reduce latency, too. Right now I’ve gotten the transmitter to work, but I still need to do it on tx side. There is still room for improvements in the way the NALU header is transferred. In most cases simply adding 0x00000001 to the end of the buffer from the encoder and removing it in the next callback will work, but it can also create errors. You need to modify raspivid, to get it done right. The very first units contain configuration data which is needed by the receiver to initialize the decoder. These units are only a few bytes long and should be stored somewhere and retransmitted regularly. They could be added to incomplete packets for example. This way even if you start your receiver after the stream has been initialized, it will know how to decode it. If this flag is set, the nalu header should be added to the end of the buffer. In the next callback the header at the beginning of the buffer can be safely removed. Keyframes are important, so one could set a higher retransmission rate for these. In my tests I observed that the SPS/PPS units come always before each keyframe. I also found that the fwrites are always called with a complete NALU with 0x00000001 at the beginning. Have you seen occurrences where the NALU is split into several fwrite calls? In my tests adding 0x00000001 to the end of fwrite did introduce some problems that I have not yet analyzed. This might indicate a splitted NALU (although I never observed it). I guess that you refer to the hooking-function in the “low_lat_raspivid_hook” branch of wifibroadcast? If not, you might take a look into that branch, could be interesting for you. Yes, I was refering to “low_lat_raspivid_hook”. I’ve made modifications in encoder_buffer_callback right before the fwrite call. Strange, I only receive 2 SPS/PPS units after initialization and after that no more. I always have to restart raspivid to get rx going, if it wasn’t started. From time to time there are calls with short data and no FRAME_END flag. The next packet will not have the NALU header in this case and if you add one, the frame will become corrupted. Right now I’m adding a header to the end of the data, if the flag is set and store this information. In the next callback I remove the header, if there is one and I already added it in the previous frame. Looking good so far. Actually I would prefer even shorter packages, like “extra” pointed out. But changing encoder_output->buffer_size does not have any effect at all. Did you use the -ih flag of raspivid? This switches between the SPS/PPS behavior you are seeing and I am seeing. Your observations concerning FRAME_END flag would explain what I am seeing with my “dumb” NALU header replacement. I will try to hook also into mmal_buffer_header_mem_lock to get a pointer to the buffer struct. You were right, I forgot the -ih flag. But I don’t like it right now, because I found some better settings. I’ve discovered that setting the intra refresh type to cyclicrows yields a much better overall datarate without any peaks at the keyframes. On top of that, if packetloss occures, only small parts of the screen get disturbed, instead of the whole bottom of the screen. Because only small parts of the frame are beeing updated, the intra refresh rate should be increased a lot. 5-10 works best for me. The -ih flag will now constantly add configuration frames, because each frame is a keyframe. This causes lots of distortions in the image, so I do not use it right now. It seems not to work right anyway, because hello_video won’t start, if it is launched later on. The parameter for raspivid is “-if cyclicrows”. I’ve managed to get everything to work with shared memory, but I’m not sure, if it helped or if there is anything else to do. I’ve also played around with annotations, which could be used to integrate an OSD into the video stream. Just add “-a 65535” to your raspivid parameters for a surprising demonstration! “raspicamcontrol_set_annotate” can be used to display any text right in the middle of the screen. Very interesting. I did not know about the cyclic keyframes. I will try it out as soon as I find the time to do so! Each square represents “1 / fps” milliseconds. If you point your raspicam at it and display the output of your camera right next to it and take an image with another camera, you can easily calculate the latency. I like it better than comparing some blurry numbers on stopwatches. Great work you are doing here this might be a fixed issue for you. Annyway a tip is to use ffplay to replay the video as it is coming i tested several players and found it to be the best one. Hi. I was using a PC with Ubuntu as receiver, but after upgrading tx and rx with the new FEC version, copying the .mcs1 version of the firmware to /lib/firmware and changing the start script to ./tx -b 8 -r 4 -f 1024 wlan0, my mplayer don’t want to play any video, but the link is working, I can see the raw output in my console. Could you also please post the rx command? It works now! The omission of the -ih flag broke my video, but with that works again. I was hoping that with the FEC the latency get down, but it still the same, 166 ms. I see last twit on june. Could you fix it up? Have you tried disconnecting “camera_video_port” from “encoder_input_port” to check latency of the raw video stream? Maybe connection between those ports introduces some buffering/delays? Or maybe “camera_preview_port” is faster than “camera_video_port”? It just does not make any sense to have 40ms latency with 48FPS just at acquisition stage, there is buffering somewhere. True, there is definitely some buffering taking place there. But currently I am not motivated to dig that deep into the camera stuff of the raspberry. Those experiments are time consuming and I am too afraid to bump into the closed-source “wall” (always a pleasure to work with Broadcom hardware… ) without achieving any results. Also have you tried sending some dummy packets through tx-rx chain, to estimate what is the latency for data input-FEC-modulation-transmission-demodulation-FEC-output path? Without any video at all. I’ve benchmarked FEC before integrating it into wifibroadcast. I don’t recall but the delay was not huge (below 10ms). But I agree, this test would be interesting. On the other hand, minimizing the wifibroadcast latency is simple: Disable FEC packets and make block size small and you should be below 3ms (I used the ping RTT of normal wifi to estimate that upper boundary). When fec is enabled, data packets are not sent directly, but in blocks. When a frame is finished, the block is not ready to be sent and it will only be sent, when new data from the next frame arrives. This means, that fec introduces up to one frame delay. We actually want to transmit high quality video, so it makes sense to be sending with a high data rate and finish transmitting one frame shortly before the next one is ready, which would make the delay insignificant. wifibroadcast was also using before the addition of FEC. However, as long as the block size is well below the size of a frame, it makes no difference. 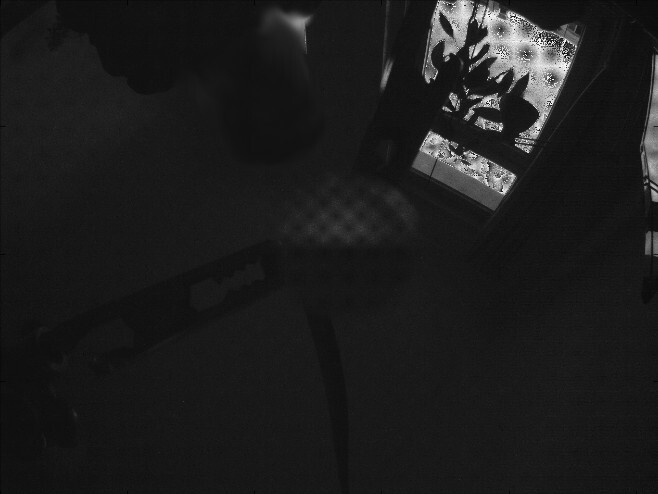 The reason is, that also the output of raspivid needs to be “pushed out” by the following frame. So the one frame delay is already caused there and wifibroadcast makes things only marginally worse. If you are interested I implemented an alternative version of wifibroadcast that uses dynamic block lengths. The tx immediately sends out what it has and the rx immediately forwards it (if received correctly). Due to the effect mentioned at the beginning the gain is very little. That’s why I’ve dropped the development on it. 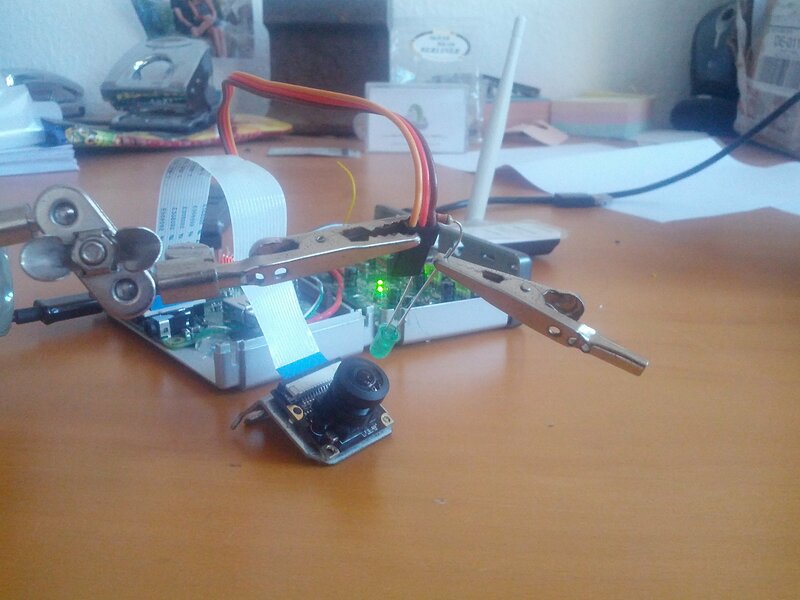 Actually I kind of tested it without any transmission at all by raspivid …. -o – | hello_video.bin. So I found that -pf baseline gives you better latencies than -pf main or -pf high. I did not get exact numbers yet, will try to measure today, but it looks promising. And I found that raspberry HW accelerated decoder is by far the best compared to any PC alternatives, at least I could not find any decoder with less that 0.5 sec latency. BTW I am thinking reviving my DVB-T setup I left because of 0.4s latency minimum, I will try to connect my dvb-t USB dongle and use hello_video.bin to decode it. Maybe I could get the same numbers as with wi-fi. Did you try gstreamer? On my machine this “feels” even a bit faster than the RPI. Other people also use it with success. No gstreamer has the same lag as mplayer. I will try it again though, maybe I should play with the settings. Is there some special h264 decoder i should use? How to force gstreamer to use PC GPU for decoding? BTW am I right thinking that if we put raspivid into passive state and then hit Enter, so if we measure the time between keypress and first callback with data we will measure our CSI acquisition delay? Or it is not so simple? in another project i noticed that the video latency is a lot less when i use this raspicamsrc gstreamer-plugin (https://github.com/cxp1991/raspicamsrc-raw) instead of a raspivid + pipe combination. sniffing into the code it seems they handle buffers by themselves. Please let me know if this makes sense and/or someone can verify. Very interesting. I did not know about this. How did you measure the latency? – the encoder for I420 doesn’t emit any output buffers if the MMAL_PARAMETER_VIDEO_ENCODE_H264_LOW_LATENCY parameter is set. It works with opaque. No errors are generated. LOW_LATENCY mode is not a mode intended for general use. There was a specific use case for it where the source could feed the image in a stripe at a time, and the encoder would take the data as it was available. There were a large number of limitations to using it, but it fulfilled the purpose. This is the downside of having released the full MMAL headers without sanitising first – people see interesting looking parameters and tweak. At that point it is user beware! Maybe it’s really worth looking into that some more? That looks like H.264 slices support, no? That should make bi-directional communication for control and whatever other data perfectly reliable and feasible, no more problems with collisions.